Trademark applications made by Samsung for “Galaxy J2 Shine” have been spotted by LetsGoDigital. 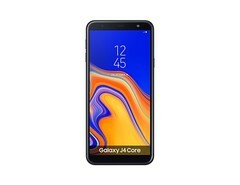 The South Korean manufacturer recently released the Galaxy J2 Core, a budget-friendly smartphone operating on Google’s streamlined Android Go. It seems likely that a Galaxy J2 Shine device would also run on the optimized platform. Although it is likely practically everyone in Samsung’s mobile division is occupied with putting the finishing touches to the S10 flagship range, with some concentrating on the company’s foldable device, it seems there are still a few bodies left over to work on the less glamorous projects. LetsGoDigital has found trademark applications filed with both the United States Patent and Trademark Office (USPTO) and the European Union Intellectual Property Office (EUIPO) for the “Galaxy J2 Shine”. As the documents are just trademark applications, there is no revealing information about the potential device. It is listed under the International (Nice) Class #9, which means it is likely a smartphone, although this class does cover tablets as well. The Galaxy J2 Core came with one surprising feature for a low-end smartphone, an Exynos 7570 SoC, so it will be interesting to see what Samsung installs in a Galaxy J2 Shine device. The Android Go OS was developed for smartphones with small amounts of RAM, generally 1 GB or less. Other manufacturers have utilized the system, such as Asus with the ZenFone Live L1 and Alcatel with the 1 and 1X devices. Samsung has also taken advantage of the trimmed-down OS with the aforementioned Galaxy J2 Core and more recently with the J4 Core.